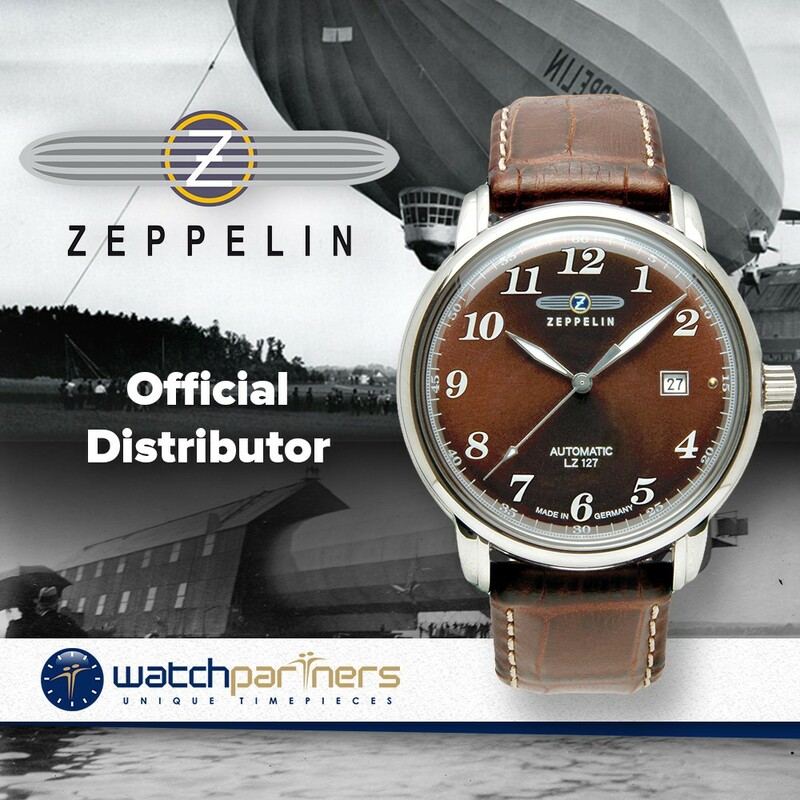 The LZ127 Count is a really well designed watch with a bold appearance. With a 316L stainless steel case measuring 40mm x 12mm (excluding the crown) the timepiece displays classical proportions. 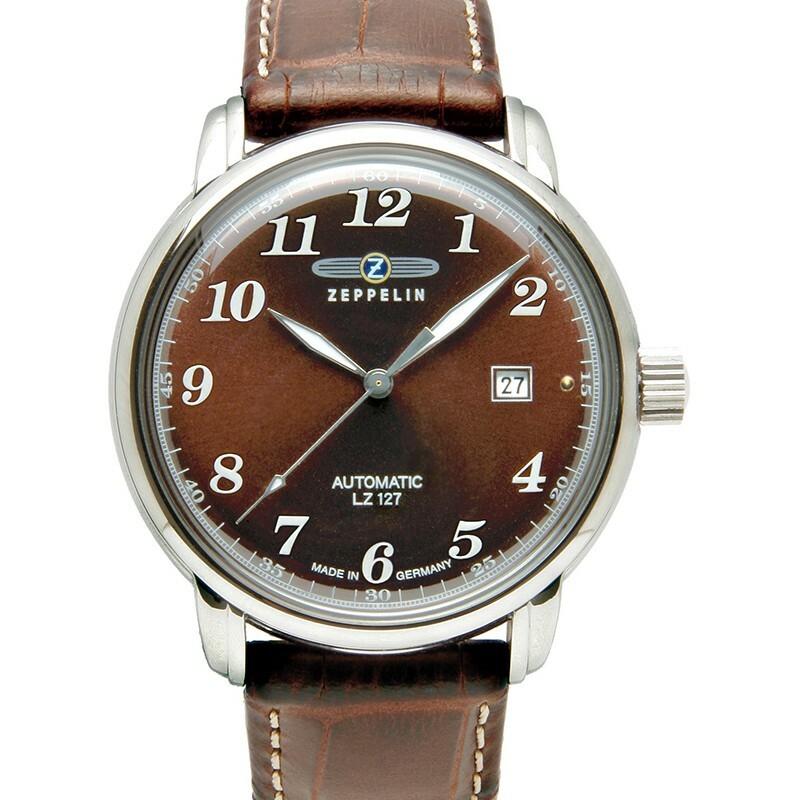 What makes the watch so stylish is the distinctive amber dial with contrasting white numerals, hands and markers. 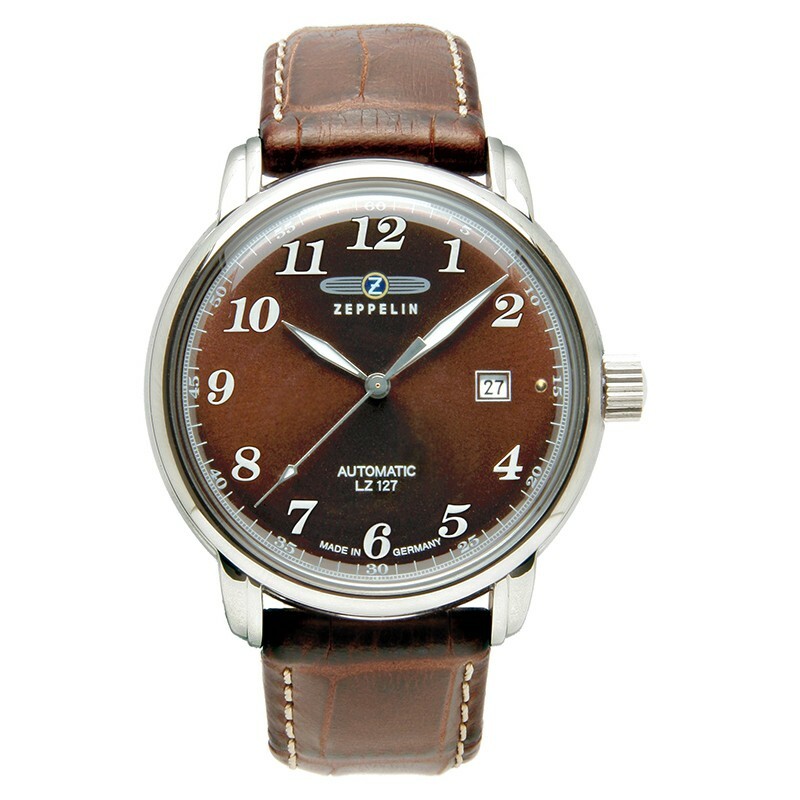 Other features include a brown leather strap, small date window (located at 3 o’clock) and water resistance to a depth of 50 metres. Powering the watch is a Japanese made Miyota self-winding Caliber 821A. This mechanical movement comprises 21-jewels and oscillates at a frequency of 21,600 vibrations per hour.